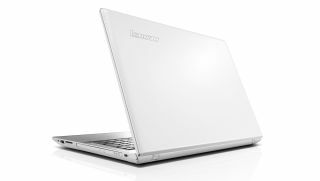 Lenovo has unveiled three new laptops for its consumer laptop range. The new offering includes the Z51 that has a revolutionary 3D camera capable of scanning objects for 3D printers and an immersive 3D experience that adds considerable depth to webcam conversations. Being unveiled on the eve of the Lenovo Tech World get-together in Beijing, the new offering also includes the similar Z41 laptop designed to be a home entertainment powerhouse and the budget IdeaPad 100 that starts at just $249 (around £161, or AU$321). The most powerful new releases are what Lenovo calls an "equal parts home-entertainment center and powerful workstation" that boast up to a fifth-generation Intel Core i7 processor and either a 14-inch or 15-inch full HD screen with a 1,920 x 1,080 resolution. Under the hood each one has up to 16GB of DDR3L RAM, and up to a 1TB HDD or SSHD plus a range of different ports. Undoubtedly the star of the show is the Intel RealSense 3D camera that offers gaming, scanning, video chatting and sharing all in 3D to owners of the Z51. Complementing this is Dolby DS 1.0 Home Theatre surround sound on each model that really brings out its home entertainment capabilities. Graphics come in the form of Intel integrated graphics that can be upgraded to AMD R7 or R9 if you so wish, and when the two machines are launched in June they will start at $499 (around £323, or AU$644) or $599 (around £388, or AU$773) for the 3D-camera clad Z15. The IdeaPad 100 is aimed at the lower end of the market and offers up to a Intel BayTrail-M N3540 chip, up to 500GB of HDD storage, and integrated Intel Graphics. It runs for up to four hours without charge and can be bought with either a 14-inch or 15-inch display. The laptop won't empty your wallet either as it's slated to be priced from $249 (around £161, or AU$321) when it hits the shelves in June.